This list is based on the results of our annual survey, last conducted in September 2018. Thousands of readers participated in our Restaurant Survey to discover which are Malta and Gozo’s most popular restaurants for Best Food. 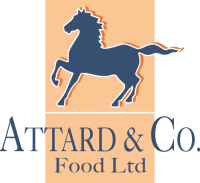 The top rated restaurant was awarded with a commemorative award which was sponsored and presented by Attard & Co Food Ltd. and Decantae Natural Mineral Water at our annual Restaurant Awards Ceremony held in December 2018. The restaurants are listed and ranked by number of surveyors' votes.